Patricia Dianne Bettencourt, 67 of Newbern, Tennessee died on Thursday, February 7, 2019, at Jackson-Madison County General Hospital in Jackson, Tennessee. Born Monday, August 6, 1951 in Covington, Tennessee, she was the daughter of the late Everett W. Gray and the late Velma I Burgess Gray. Ms. Bettencourt was a retired licensed practical nurse. A celebration of life service for Ms. Bettencourt will be 2:00 PM on Saturday, February 9, 2019 in the Chapel of Johnson-Williams Funeral Home. Officiating this service will be Rev. Travis Davison. Visitation will be Saturday from 1:00 PM until 2:00 PM at Johnson-Williams Funeral Home. 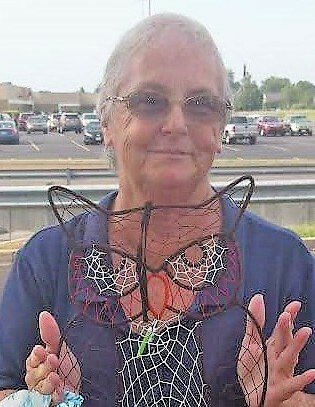 She is survived by one son, Douglas Bettencourt (Cynthia) of Newbern, Tennessee; one daughter, Rebecca Wilson (John) of Newbern, Tennessee; two brothers, Leslie Wayne Gray (Belinda) of Lebannon, Tennessee and Everett Wayne Gray, Jr.(Karen) of Washington; one sister, Sherry Gray of Memphis, Tennessee; three grandchildren, Bradley Connelly (Ashley), Benjamin Connelly (Tamara) and David Bettencourt and six great-grandchildren. In addition to her parents she was preceded in death by one brother, Jeffrey Gray. Online condolences may be made to the family at johnsonwilliamsfuneralhome.com. Johnson-Williams Funeral Home is honored to serve the family of Patricia Dianne Bettencourt.